Searching for famous absurd quotes and sayings. Now you don't need to search for them anymore. As here I have compiled down some of the popular absurd quotes and sayings. Just hope you like the quote compilation and learn something new from here. When all else fails, there's always delusion. Love is a bicycle with two pancakes for wheels. You may see love as more of an exercise in hard work, but I see it as more of a breakfast on the go. Love is what you make it. Unfortunately, I can’t make it today, as I have a doctor’s appointment. If America leads a blessed life, then why did God put all of our oil under people who hate us? God is the supreme uncreated light of which Wisdom is born, but there was never a time when God's Wisdom did not exist. To you, I'm an atheist. 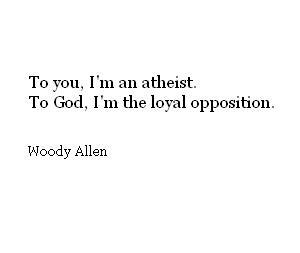 To God, I'm the loyal opposition.